For Canada’s 150th anniversary of Confederation, the NFB is curating portraits of ordinary Canadians with extraordinary stories to tell. Mabel Robinson is a hairdresser in Hubbards, Nova Scotia. At 90 years old, this hairdressing pioneer is still styling up a storm. Kenojuak Ashevak is an Inuit artist. In stone and on sealskins, she recreates the curious creatures that inhabit her world. Ken Carter is a simple man with an epic dream: building a rocket-powered car to jump across the St. Lawrence River. Discover these extraordinary ordinary Canadians and many more in the following film playlist. 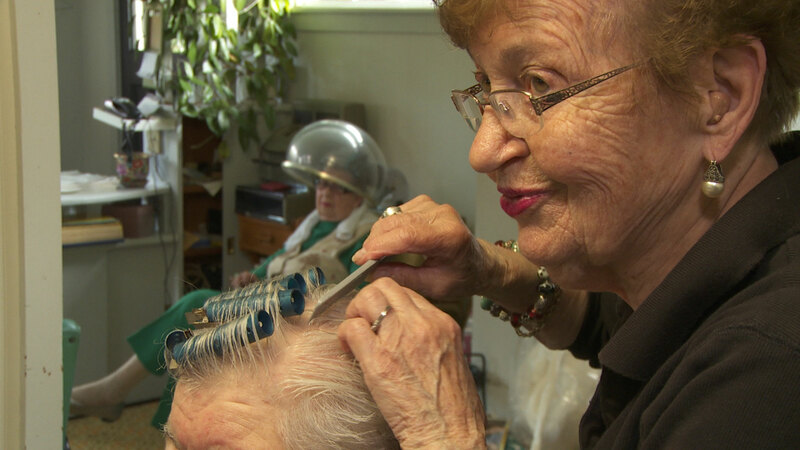 Feisty, fiercely independent and firmly rooted in place, 90 year-old Mabel Robinson broke barriers back in the 40s when she became the first woman in Hubbards, Nova Scotia, to launch her own business—a hairdressing salon where she still provides shampoo-n-sets over 70 years later. Weaving animation and archival imagery with intimate and laugh out loud moments in the salon, the film celebrates the power of friendship, doing what you love and staying active. With no desire to retire anytime soon, Mabel gives voice to a generation who are not front and center of cinema or the pop hairstyles of the day, and subtly shifts the lens on our perception of beauty and the elderly. At the age of 5, Hannah Taylor spotted her first homeless person in the back alleys of Winnipeg. This experience not only troubled her, but it drove her to do nothing less than change the world. The Ladybug Foundation, the charity Hannah helped establish, has raised over a million dollars to date. With her huge heart and can-do attitude, she preaches a simple message of "Share a little of what you have and always care about others." As this short documentary proves, we all have a lot to learn from Hannah's story. This documentary is about Bob Diemert of Carman, Manitoba, and his dream of building the world's next great fighter plane. His worldwide reputation as a genius at restoring "warbirds" enables him to finance his dream. The Defender is a lively, sometimes wild and funny, tale about a remarkable, modern-day folk hero. For more background information about this film, visit the NFB.ca blog. This short documentary is the portrait of an 88-year-old Secwépmec woman who lives alone in a log cabin without running water or electricity. Augusta lost her Indian status when she married a non-Indigenous man. She lives in the Williams Lake area of British Columbia. She recalls past times, but lives very much in the present. Self-sufficient, dedicated to her people, she spreads warmth wherever she moves, with her songs and her harmonica. Filmed at the Wing Fong Farm in Ontario, this documentary follows the tilling, planting and harvesting of Asian vegetables destined for Chinese markets and restaurants. On 80 acres of land, Lau King-Fai, her son and a half-dozen migrant Mexican workers care for the plants. For Yeung Kwan, her son, the farm represents personal and financial independence. For his mother, it is an oasis of peace. For the Mexican workers, it provides jobs that help support their children back home. This short film follows stuntman Ken Carter on the stock-car racing track, where he engages in crazy activities, such as driving his car off a ramp over a parked line of cars. Take a wild ride with Ken as he prepares for his act.